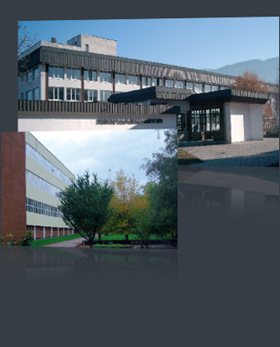 The Telephone equipment plant, Bansko (ZTA Bansko) was established in 1967 with objects of activity - manufacturing of telephone connection parts and assemblies. The plant manufactures automatic telephone exchanges for more than 20 years - the so called home, administrative and office exchanges. For the last 10 years the company has diversified the production portfolio, based on the acquired experience. After the privatization in 2003, it underwent restructuring leading to improvement of the economic and production indicators. The Telephone Equipment Plant, Bansko underwent a merger with the Low Current relay plant, Banya that increased the technical capacity of the manufacturing unit making it capable to implement the activities of the four main areas and work completely on the basis of Customs Designed Production. The optimization contributed for the increase in the efficiency of the production activities and at the same time raised the turnover with some 50%-70%. • Assembly (partial and ready made). The Company has solid experience in manufacturing end products and systems, combining the four main areas. The qualified personnel is also well trained in doing project business, using relevant skills for R&D, engineering and production activities. The products of ZTA JSC are mainly export-oriented. Sperry Marine (UK), member of NORTHROP GRUMMAN GROUP (the export is comprised of main mechanical and electronic modules for the production of radars used in river sailing), ABB Group (Sweden), Alba Kraph (Swiss), Lungtone Industrielle, Elektronik (Austria), Jung Heinrich (Germany), BTC (Bulgarian Telecommunication Company), BSRC (Bulgarian State Railroad Company), Russian Telecom, Ray Sat Inc. (USA), Magnetic Head Technology (USA).